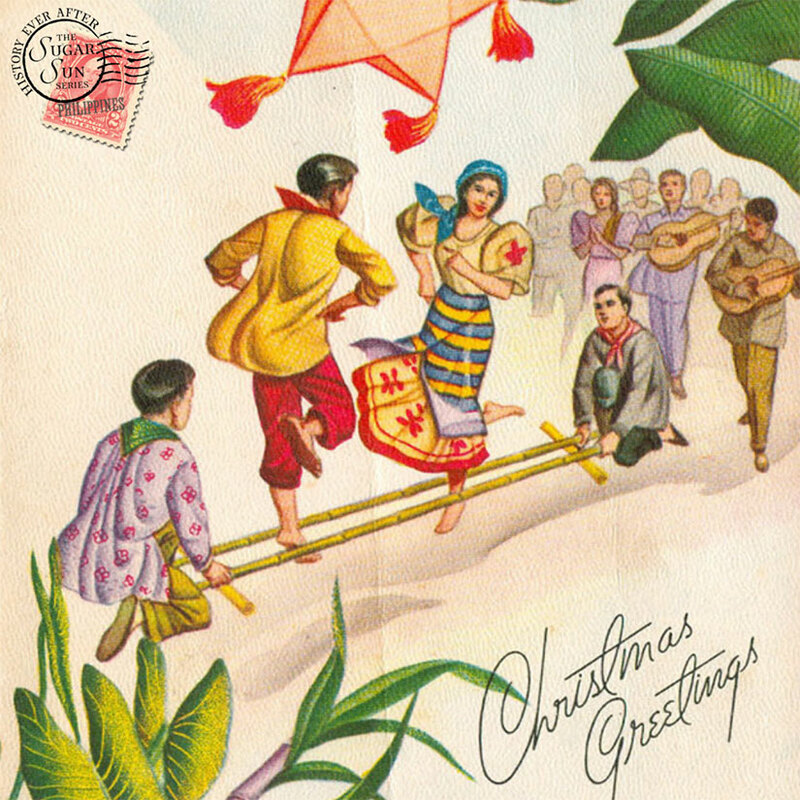 A 1960s Christmas postcard from the Philippines, courtesy of the fabulous Pinoy Kollektor website. The holidays have also been about our nuclear family, i.e. 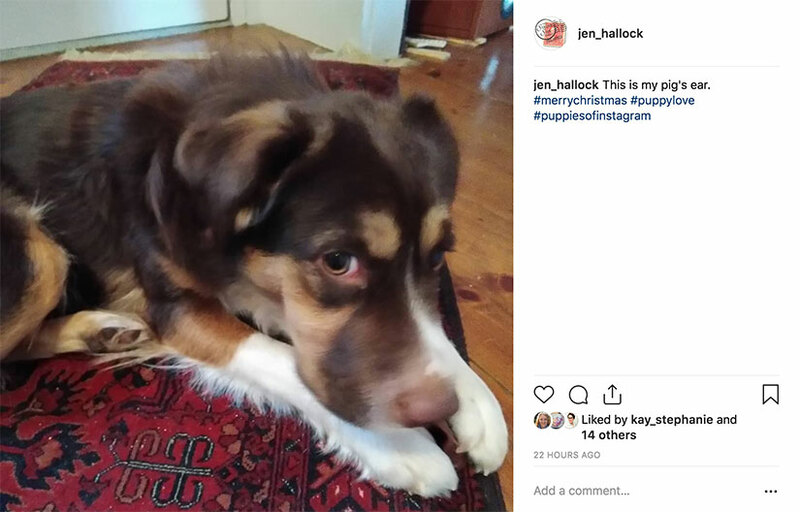 our dog(s). We sadly said goodbye to seventeen-year-old Jaya two years ago, and before that to fifteen-year-old Grover. This is our first Christmas with a little pipsqueak called Wile E. Dog. Her auntie and uncle brought her pigs’ ears, so she’s been just fine with the madness of the holidays. And, yes, we have a parol—adjusted to 110v by our amazing Ate Edith! We give passing traffic seizures, but, hey, it’s festive. Finally, one of my favorite holiday traditions: good funky Christmas music. My favorite funk? Bootsy Collin’s Christmas is 4 Ever. 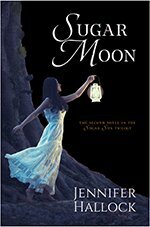 One thing you will have to do without this season is Sugar Moon. 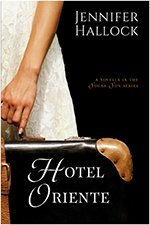 It is still coming soon, but rewrites are thorough and ongoing. We are hoping for early 2019, certainly in the first half of the year. Until then, check out the teasers on this site. 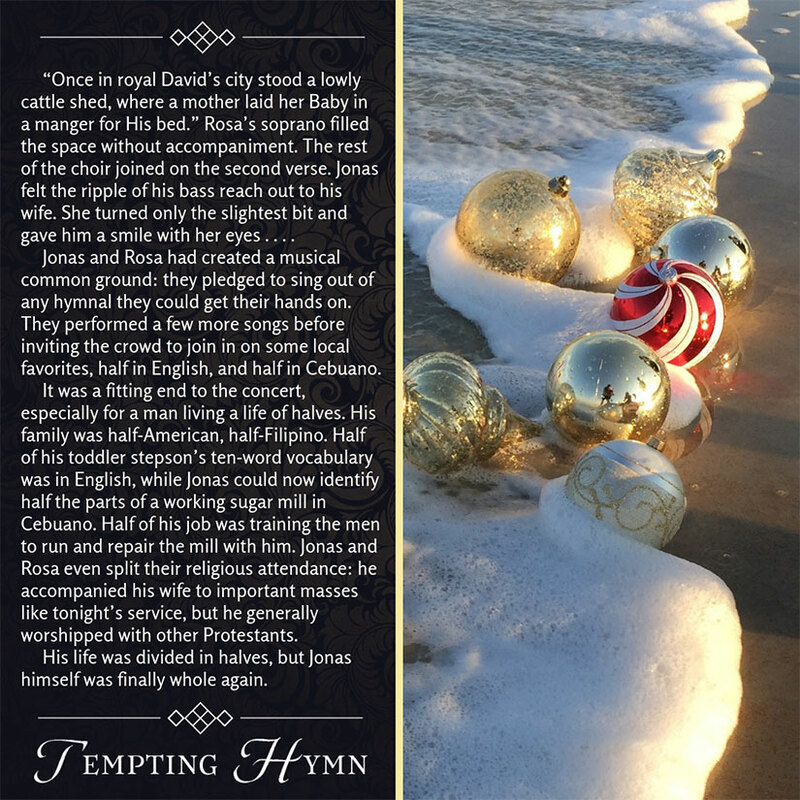 If you want something Christmas-y, also please check out the epilogue of my latest novella, Tempting Hymn. 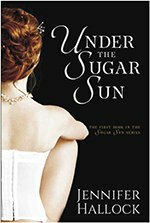 (Click on the image for a buy link.) Merry, merry. Posted on December 25, 2018 December 25, 2018 Categories GlossaryTags Beirut, Christmas, holiday, Merry Christmas, parol, Philippines, pizza, puppy, Wile E.
An hour later they safely stumbled into a cluster of chromatic light. Georgie wondered if she had fallen under some kind of enchantment….Surrounding the church were hundreds of colorful star-shaped lanterns hanging off white-blossomed frangipani trees. Georgie stood frozen in place, overwhelmed by the feeling that she had entered a secret village of wood sprites. Creative commons image courtesy of Kent Kawashima. Want to know a secret? This passage is wrong. Sort of. Maybe. I am still overjoyed when I see a parol. In fact, so much so that I brought one back with me, and it may be the only one of its kind in rural New Hampshire. And, okay, that’s fine—we live in a globalized world these days—but would Hacienda Altarejos really have had a parol or two in 1902? Eh, close enough. 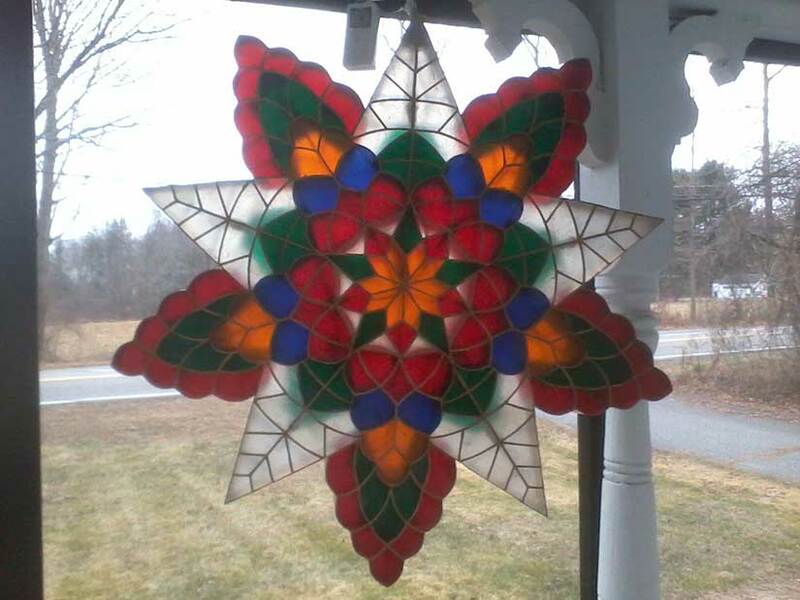 The parol—from the Spanish farol for lantern—did originate in Spanish times, so that’s good for my timing. It even seems that the Mexican piñata got jumbled in the origin story somewhere, accounting for the bright colors of crepe paper or papel de Japon (Japanese rice paper). But I think they looked a lot different, more like the regular lanterns they were named after. Parol sellers on the sidewalk of Macapagal Highway, image courtesy of Dindin Lagdameo. It was not until 1908—when a salt vendor in Pampanga named Francisco Estanislao slapped together some bamboo strips in festive shapes—that the tradition we know today was born. And, if Estanislao did not invent this “real” parol until 1908, and he was all the way up in Luzon, wouldn’t it have taken a few years for the tradition to spread to the island of Negros, where my story takes place? Okay, so I was a little off. But no one has called my bluff—yet. I think this is because to anyone in the islands, the Christmas season requires parols. I would have gotten flack if I had forgotten them! Parols today do light the way to mass…and the way to Starbuck’s, too. Whatever gods ye worship, people! Back in the Edwardian era, the main light sources were candles or coconut oil lamps. These days there are at least three hundred tiny light bulbs in just a small parol. This is why mine had to be refitted for 110v before we shipped it back. (Thank you to Edith Rocha Tan for help on that!) Now, those three hundred lights give unsuspecting New England drivers fits as they drive by at night. Sweet. The Hallock parol in rural New England. Keeping the neighborhood jolly! 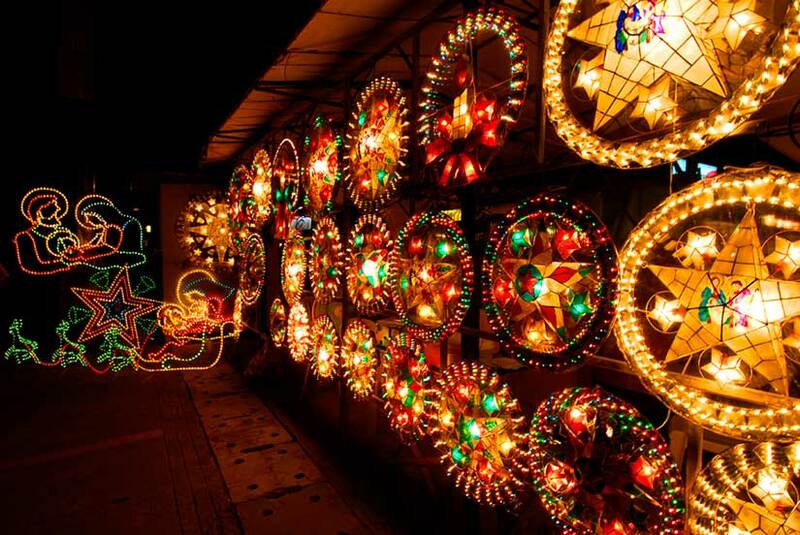 When we were kids, my brothers and I would play with our toy trucks and attach our own parol drawings on cardboard, simulating the position the way the real arrangements of actual giant lantern festival entries were supposed to be during competitions. We simulated a mini-competition in our home and let our tatang [father] judge who among the siblings had the best design. 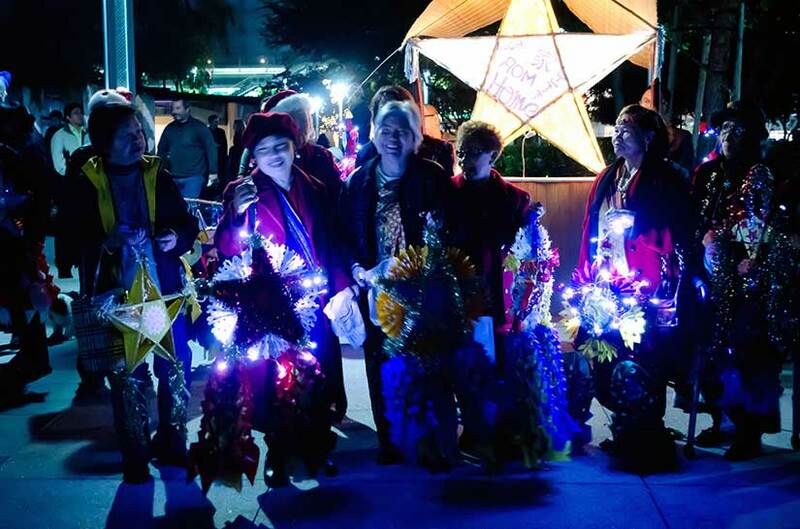 A parol festival in San Francisco, image courtesy of Nicole Abalde.